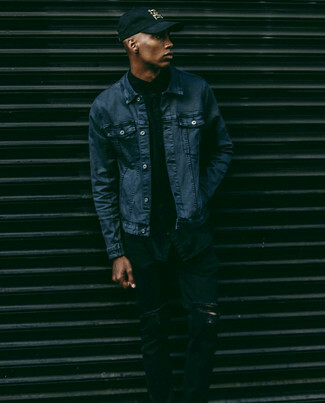 If you're searching for a casual yet dapper outfit, choose an Ann Demeulemeester classic plain shirt and black ripped skinny jeans. Both items are totally comfortable and will look great together. If you're in search of a casual yet stylish outfit, try pairing an Ann Demeulemeester classic plain shirt with white ripped skinny jeans. Both pieces are totally comfortable and will look great paired together. 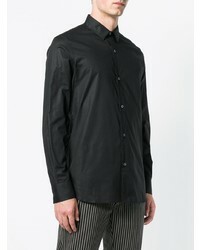 Make an Ann Demeulemeester classic plain shirt from farfetch.com and navy dress pants your outfit choice like a true gent. Black leather derby shoes will add more playfulness to your ensemble. 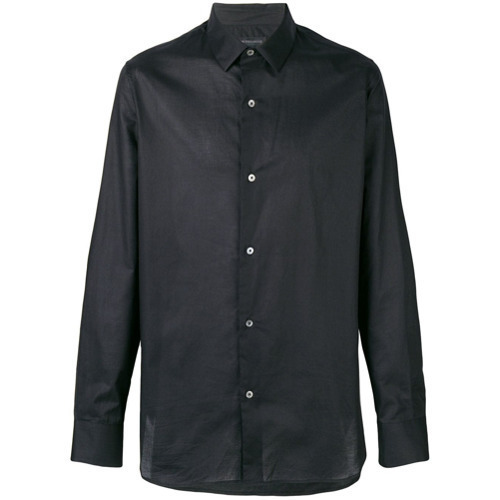 This combination of an Ann Demeulemeester classic plain shirt and black skinny jeans is effortless, dapper and very easy to replicate. Make black and white athletic shoes your footwear choice to make the outfit more current. 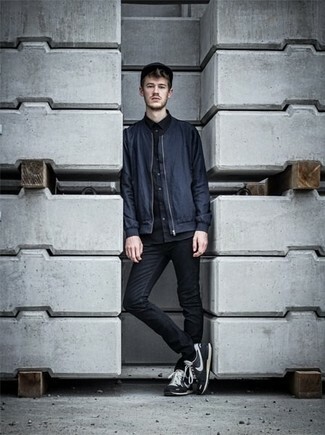 If you're on the hunt for a casual yet seriously stylish ensemble, rock an Ann Demeulemeester classic plain shirt from farfetch.com with navy ripped skinny jeans. Both pieces are totally comfortable and will look great together. 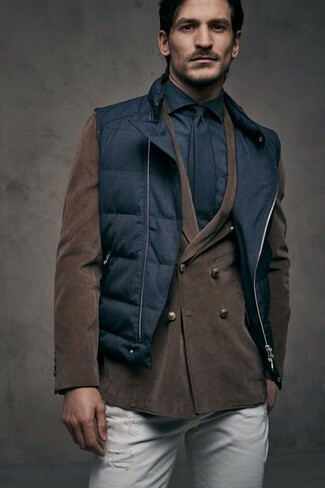 Lift up this getup with black leather chelsea boots. 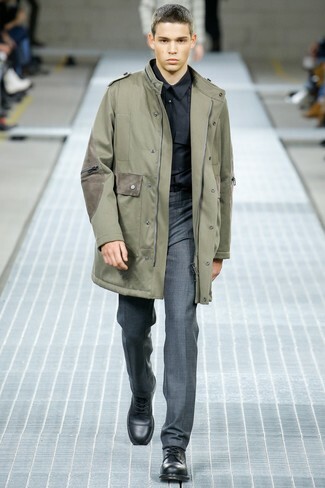 For a nothing less than incredibly stylish outfit, go for an Ann Demeulemeester classic plain shirt and grey dress pants. Go for a pair of black leather casual boots to make the ensemble current. 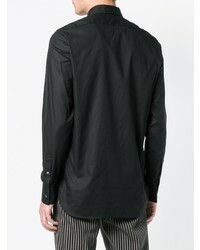 Marry an Ann Demeulemeester classic plain shirt from farfetch.com with a grey suit for a sharp, fashionable look. Kick up the cool of your ensemble by rounding it off with black leather oxford shoes. 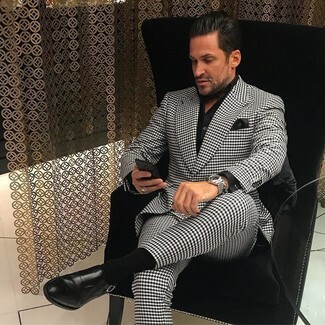 Rock a black dress shirt with black and white houndstooth dress pants for a sharp, fashionable look. Want to go easy on the shoe front? Go for a pair of black leather monks for the day. 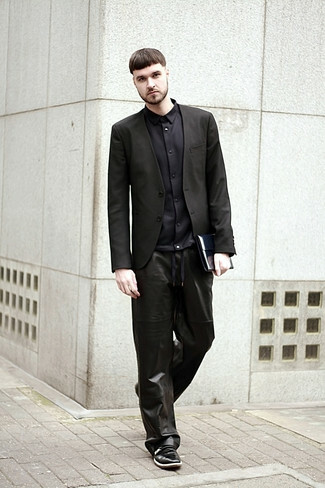 This combination of a black dress shirt and black leather sweatpants is simple, on-trend and so easy to recreate. Amp up the cool of your ensemble by completing it with black leather double monks.